Xiantianwujimen was founded by Chen Xiyi of the 11the century. It is currently in its 20th generation of transmission. The lineage is held by multiple individuals trained and appointed as the caretakers of the teachings. It is a non-family lineage. Its holders are typically selected at a young age and instituted as full carriers of the teachings when their training is complete. Xiantianujimen is primarily an internal alchemy lineage, specializing in the dual cultivation of body qi and limitless consciousness. We do not have established locations of schools. Our teachings are offered independently by instructors authorized by the lineage carriers in public spaces. In the spirit of Chen Xiyi’s legacy, the lineage also focuses on the arts of divination and strategic thinking. The qigong, divination, and strategic studies programs scheduled in this website are teachings particular to Xiantianwujimen. If you are interested in Taoist organizations offering courses outside of China, you can contact these organizations. 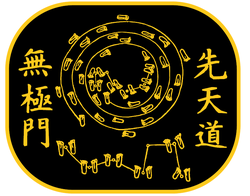 The Taoist Society of Brazil is the home to the Zhengyi Mengwei (Celestial Teachers) Lineage. They offer rituals, ceremonies, and courses on Taoism, qigong, divination, and meditation. The British Taoist Association is affiliated with the Longmen (Dragon Gate) branch of Northern Complete Reality Taoism. They offer courses in meditation and qigong. The French Taoist Association is affiliated with the Longmen (Dragon Gate) branch of Northern Complete Reality Taoism. They offer courses in Taoism, qigong, meditation, and are host to many visiting Taoist teachers world-wide. PLEASE LET US KNOW THROUGH OUR CONTACT FORM.